Very dark, intense red colour. Aromas of fruits and flowers (iris). Delicate attack with simple tannins. Designed to loosen tongues over a pasta meal. To be drunk within three years. Idéal sur des plats à base de viandes et de champignons. 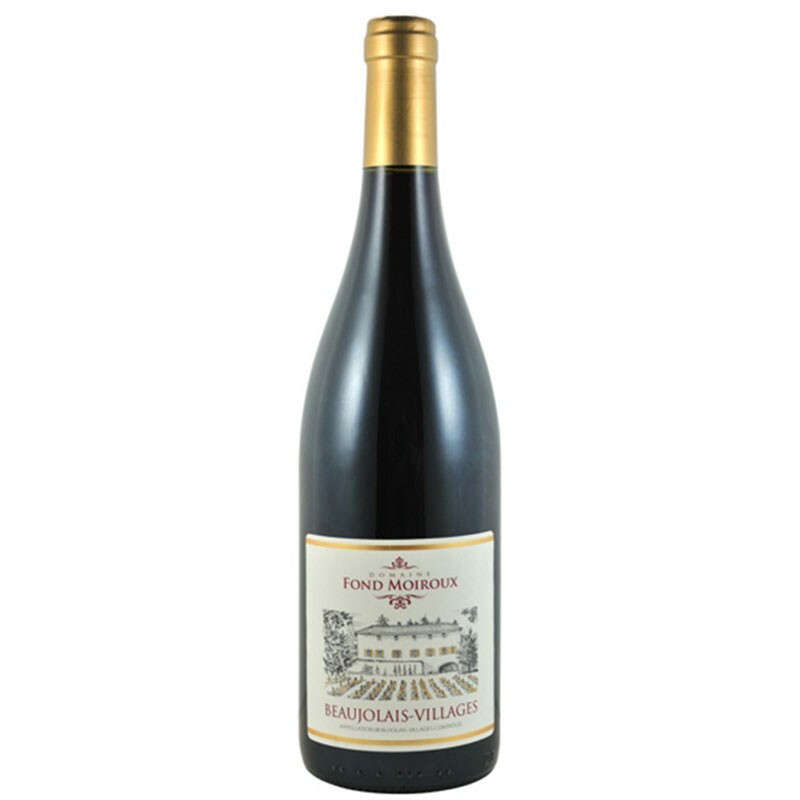 Founded in 1789, Domaine Fond Moiroux was bought by Marie and Bernd Bachhausen, Luxembourger citizens. Loving the region, they wanted to "awake the sleeping beauty" in this estate located in south Beaujolais, in the area of the golden-hued stones, in Cogny. Since 2008, this couple combines human knowledge and the natural qualities of this terroir to produce quality wines.